Brassfield’s Salon specializes in expert grooming and styling treatments that are sure to impress even the most discerning of men. Each item listed on our Men’s Service menu is specifically designed to help you look exceptional and feel confident. In the right hands, a razor, pair of scissors and high-quality professional grooming products have the power to produce the best version of you. The men’s color camo service at our Tacoma hair salon uses a revolutionary new technology that covers your gray hair in ten minutes. The result is naturally blended color that covers your gray hair and turns back the clock. Highlights are applied strategically through your hair to add extra dimension, by bringing a lighter shade to your overall color. Highlights can be applied to look natural and work with your hair or provide high contrast that fits the current trends. Schedule an appointment with one of the hair color experts. 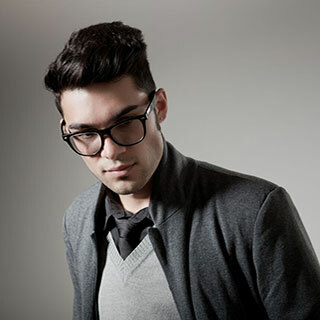 The stylists at our Tacoma hair salon know that men need a cut that is up to date and directly reflects who you are. Our Men’s Design Cut is a cut all your own and is a look that you and your stylist will create together. Our Tacoma spa features a facial just for men! This relaxing and therapeutic facial is designed exclusively for men and focuses on cleansing, exfoliation and extraction. Face, neck and shoulder massage is followed by a custom revitalizing mask. An at-home skin care regimen is recommended to maintain appearance and maximize results.